This week's weather has totally stunk, but we've managed to survive. April showers bring May flowers, right?! I did manage to dig up 5 highlights of the week though, enjoy! 1. Russ and I attended another informational meeting for a Master's degree. I found out I have three credits that will transfer in, so I'm basically 1/10 done with my degree before even starting. Positive thinking, right?! I have to be accepted yet, but I'm pretty positive I will. The program will take two years. Russ and I are going to do it together. In spring 2016, we'll both have Master's degrees and celebrate 10 years of marriage! Many lights to look forward to at the end of the tunnel. 2. I was featured again over at Soho Sonnet's Pinterest Challenge. I love trying out things I find on Pinterest! 5. Did you see Startbucks is doing their Frappuccino Happy Hour? 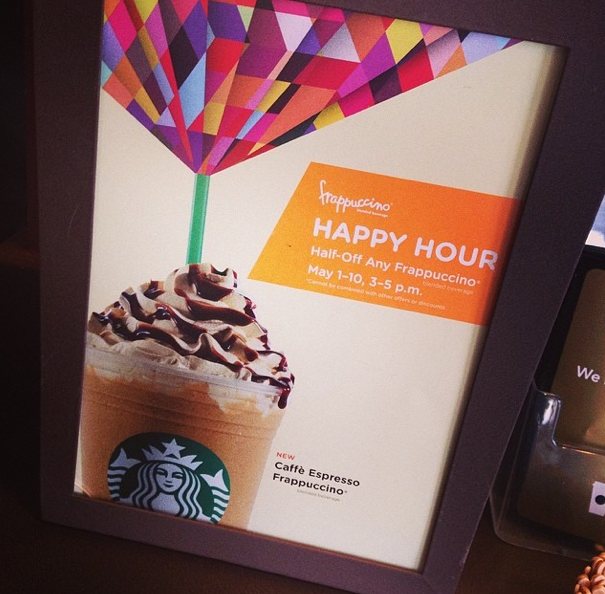 May 1-10 from 3-5 pm, Frappuccios are half off. Russ and I had a quick Frappy hour (as I call it) date yesterday. Yum! 4. Henry experienced his first real May Day. 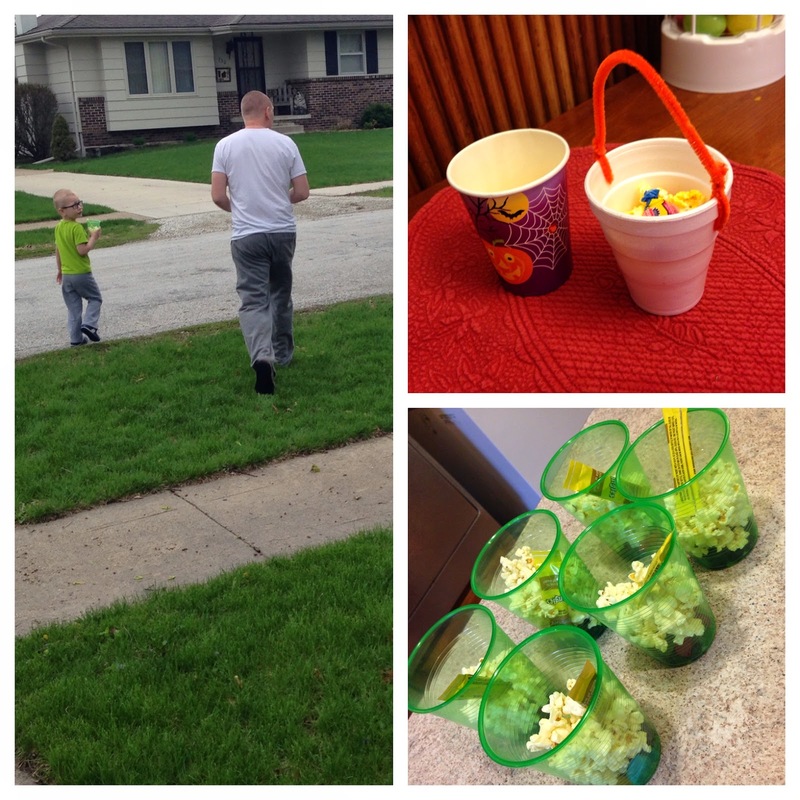 We've never gotten May baskets before, but we came home on Thursday to a couple, so of course we had to make some, too. He had a blast delivering them! 5. Full nights sleep have happened all this week in our house. Can we get an amen? !